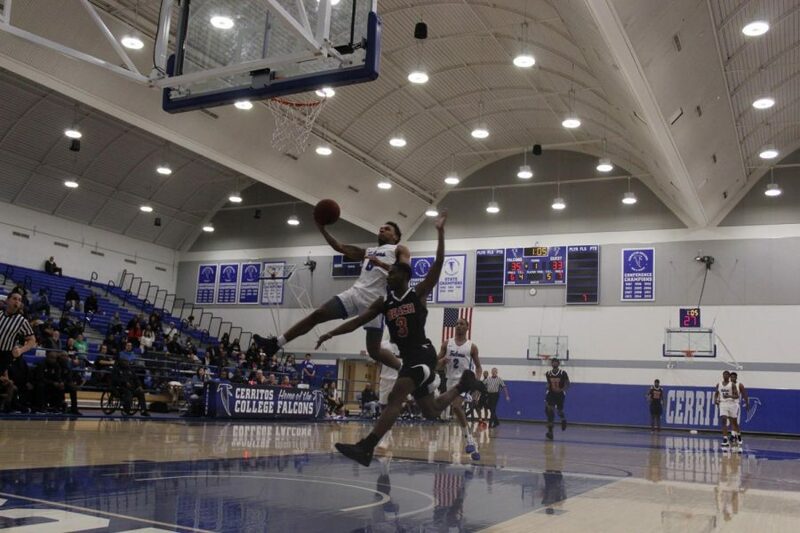 The Cerritos College men’s basketball team lost against rival Long Beach City College 90-85 at home on Feb. 8. 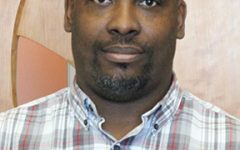 The Falcons were undefeated in conference up until this game and with this loss, they have fallen into a first place tie. Falcons basketball is now 18-6 overall in the season and are now 5-1 in conference. Freshman guard No. 13 Chance Hunter finished the game with 20 points, 13 rebounds, two assists and a steal. Sophomore guard No. 5 Tawon Elston came off the bench with 23 points, six rebounds, two assists, a steal and a single block in the 31 minutes he played. Sophomore center No. 32 Austin Freeman came into the game, immediately got fouled, went to the free throw line and made both baskets. He finished the game with 11 rebounds, eight points and two assists. 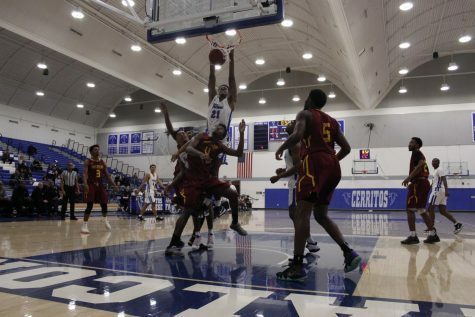 It was 28-30 with four minutes to go in the first half of the game, Cerritos had many fouls in the last few minutes, but Hunter made a basket to tie the game. Sophomore guard No. 1 Cody Wilkes had nine points, four rebounds, two steals and a single assist in the game against Long Beach City College. May said, “Cody got off to a good start and then they really keyed on him. 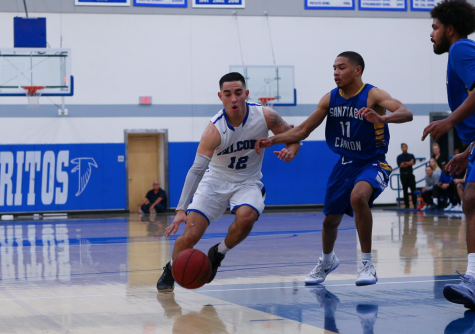 The Falcons will play their next conference match away at El Camino College on Feb. 13. 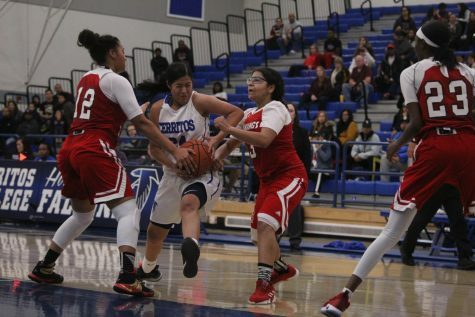 The team previously defeated El Camino College 99-53 on Jan. 25 when the team first met this season. Falcons’ basketball will follow the away game with its final three conference matches of the regular season.